San Diego was the safest big city in the United States last year in terms of murders, while the San Diego-Carlsbad metro area had fewer violent crimes in 2016 than all but three of the 20 largest metropolitan areas in the country, according to statistics released Monday by the FBI. Across the country, the violent crime rate rose again for the second consecutive year to 386.3 violent crimes per 100,000 residents in 2016, according to the FBI. That marks the highest the crime rate has been since 2012. Meanwhile, the country’s murder rate rose to 5.3 per 100,000 residents, marking the second straight year the murder rate has risen following nine years of decreases. The 5.3 murder rate is the highest since 2008, when it was 5.4, but remains well below the 20-year high of 6.8 in 1997. In the city of San Diego, there were 50 murders last year among the city’s more than 1.4 million residents, equating to a rate of 3.5 murders per 100,000 residents. In San Diego County, with a population of more than 3.3 million, there were 101 murders resulting in three murders per 100,000 residents. 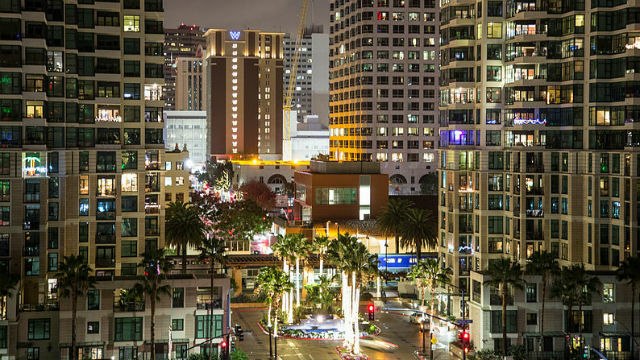 As for violent crime, the San Diego-Carlsbad metro area, which includes all of San Diego County, was one of the safest large metro areas in the country with 330.4 violent crimes per 100,000 residents. The safest metro areas in the country were San Jose-Sunnyvale-Santa Clara at 280.1; Minneapolis-St. Paul- Bloomington at 287.7; and Washington D.C.-Arlington-Alexandria at 301.3. Within San Diego County, there were 32.8 rapes per 100,000 residents last year, 83.7 robberies, 210.8 aggravated assaults, 1,850.1 property crimes, 313.2 burglaries, 1,204.5 thefts or larcenies and 332.4 vehicle thefts. In terms of murders in the 10 largest U.S. municipalities, only New York City came close to matching the safety of San Diego, with a 3.9 murder rate. San Jose was next at 4.5. The city of Los Angeles’ murder rate was 7.3, while the Los Angeles-Long Beach metro area was 5.1. The murder rate in the San Francisco-Oakland- Hayward metro area was 5.1, including 6.5 in the city of San Francisco and 20 in Oakland. St. Louis was the deadliest city in the country at 59.7 murders per 100,000 residents. In the city of 314,507 residents, there were 188 murders. That equaled more than half the number of murders in New York City, which has a population more than 27 times larger at 8.5 million. Baltimore, where 318 people were killed in a city of 618,385, was the next deadliest in the country with a murder rate of 51.4. The New Orleans-Metairie metro area was the deadliest metro region at 18.9 murders per 100,000 residents.